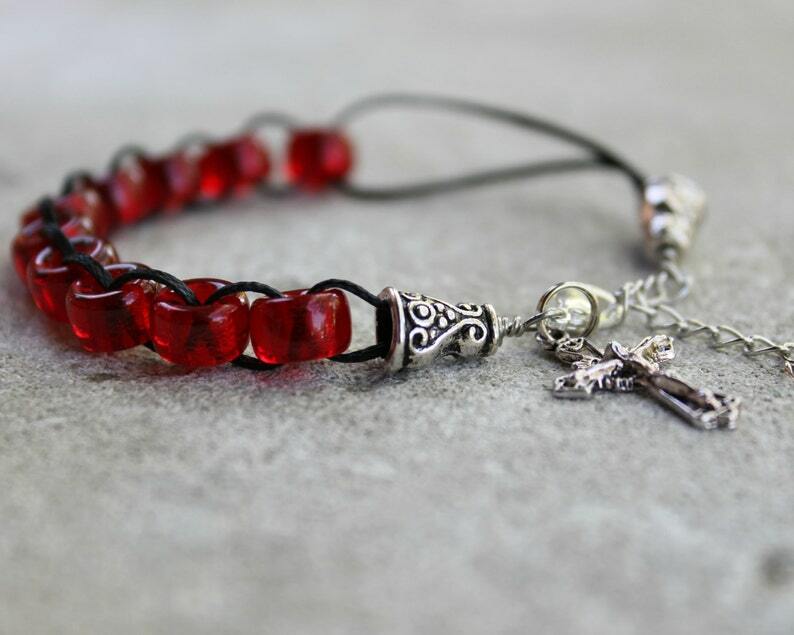 The glass beads of this bracelet are a reminder of the burning love of the Holy Spirit. As powerful as a raging fire, yet as gentle as a babies kiss, being confirmed in the Spirit is the deepest form of intimacy with Our Lord. Allow this love to inspire your actions and live your life with bold conviction! Perfect! I really love the bracelet! Thank you!